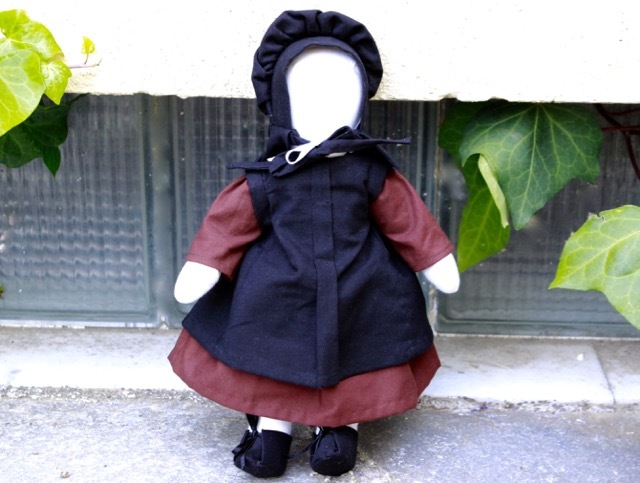 This Amish doll is in fact the first one I did about twenty years ago when I received from my sister a n American book with Amish dolls and Amish clothes patterns. I must say that it was not easy for me but I sustained my efforts and managed at the end. Those patterns were done to make perfect details and I suppose that they were rather adapted for experimented dressmakers when I was just starting sewing at that time! But with the neophyte's zeal and enthusiasm I finally succeeded! 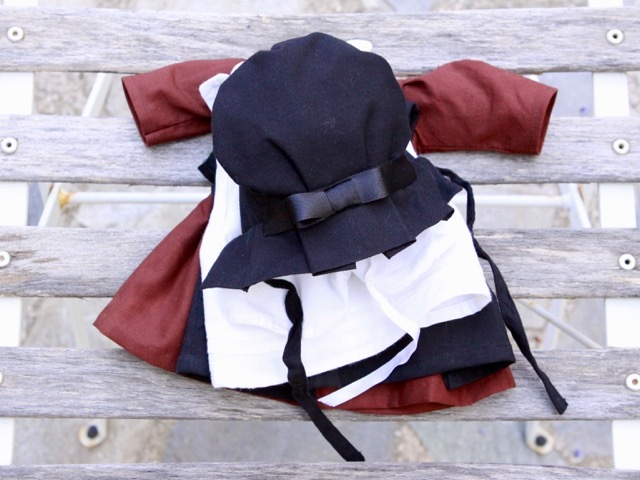 Regarding the clothes, The most difficult part was the black hat with very tiny details. The pattern was such that the finished should have been as perfect outside as inside where the seams are invisible! 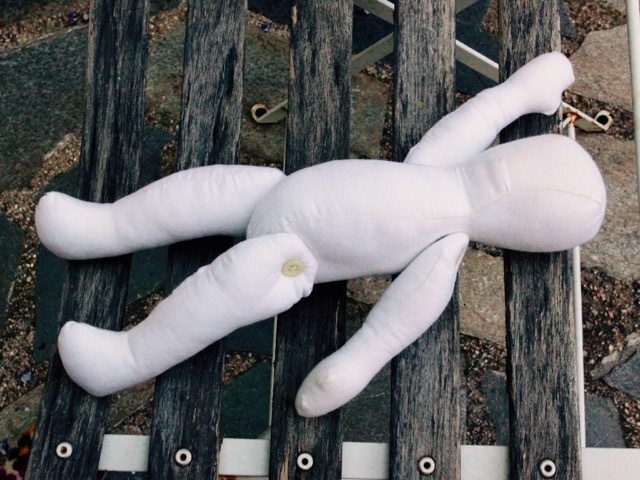 For the body itself, the legs and the arms are attached with buttons so that they can move. Together with my obsession with bags, pouches... I had my doll making passion! However, this little Amish doll is my most precious one. J'aime beaucoup !! Tous ces détails....elle mesure combien de hauteur ? I am so happy to view your blog post today. I have a love for all things Amish. 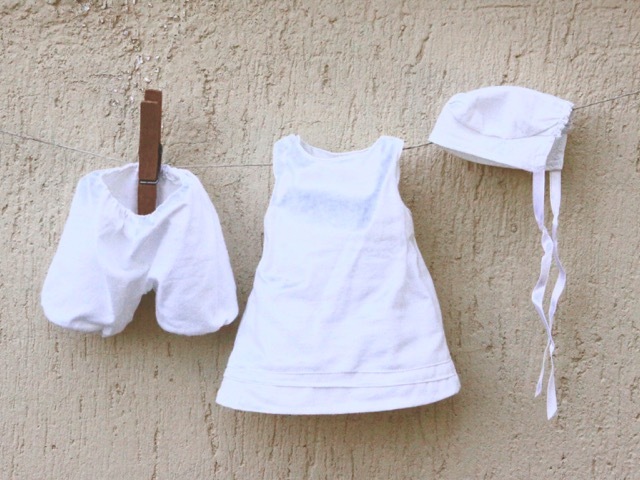 I think you did a remarkable job on your doll and all the fine clothing. These are truly a treasure and you should cherish having them. She's lovely! 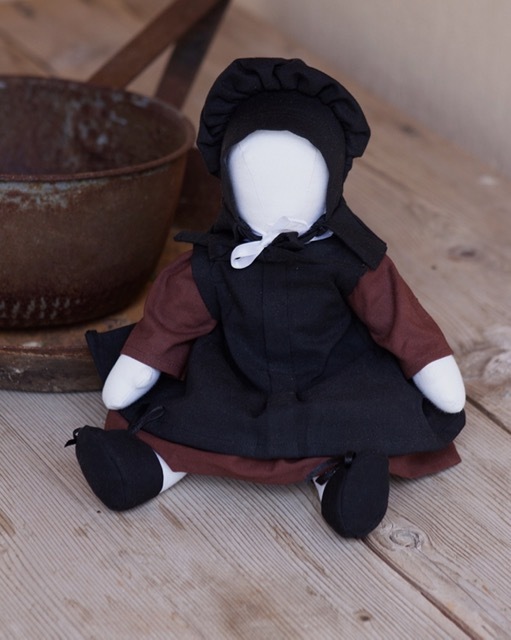 I wish I had held on to one of the Amish dolls I used to make but they all sold or were given to good homes. So sweet, and the bloomers made me smile! I think they are my favorite. Tous les habits sont vraiment adorables. Quel boulôt mais ça en valait vraiment la peine! Elle est indémodable! Belle journée. She is very sweet Christine and well done too! It's very accurate to have the white cap as well as the black bonnet. I can see why you treasure this one so much. Your work was exquisite even then! I would love to know how to locate that pattern. 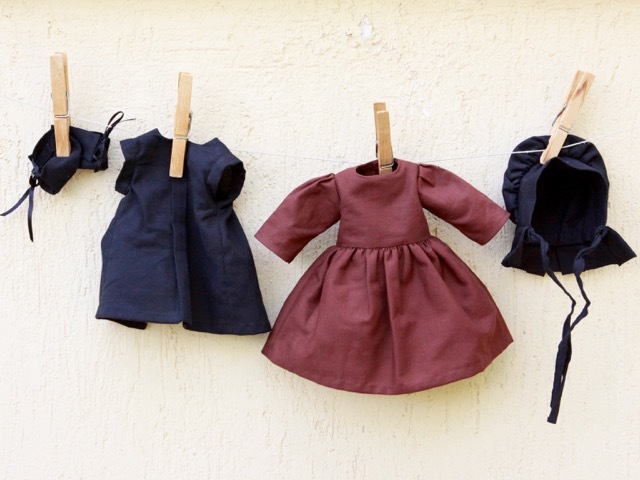 The Amish doll and the clothes. I adore all things Amish and am fascinated with their simple life. They do everything with such grace and love. Their forgiving spirit is one most of us could pattern after. I, too, would love the pattern(s). I will try to find the book and patterns, and I will publish it in a next post. Je découvre votre blog avec émerveillement .. est-il possible de trouver encore ce livre sur les poupées amish .. je rêve d'en faire une ? Hi! Do you have a pattern for the doll? Its so cute but I can't find a pattern like it!